PROVIDING OUR CUSTOMERS - HOLISTIC AND RESPONSIBLE HAIR CARE. 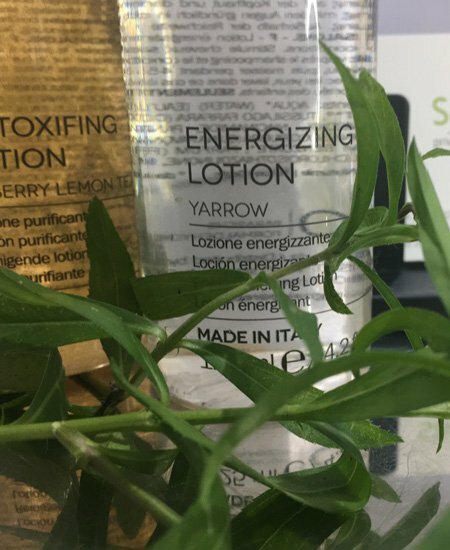 Our ideals are to reduce skin exposure to chemicals, by using products with reduced damaging ingredients and replacing chemicals with natural ingredients wherever possible. Our hair stylists will consult with you, ask questions on your lifestyle, your past hair experiences, time constraints, and of course desired end results. - personal style and lifestyle. 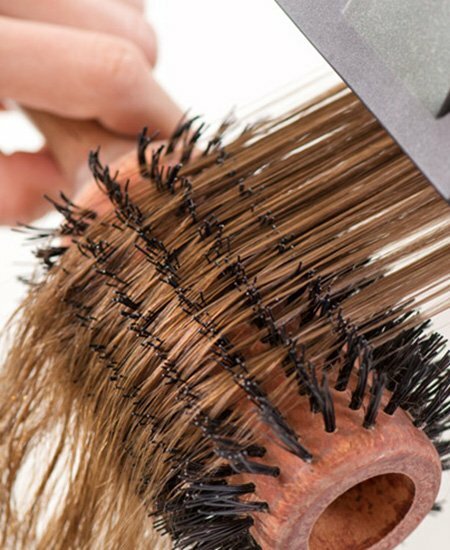 We will give you a hair style and or hair colour that looks great everyday, one that you can manage easily yourself. We are committed to provide our customers with holistic and responsible hair care - absolutely the best available, gentler and kinder to your hair and scalp, and to ourselves as hairdressers. We constantly research, test and train in the latest new products, equipment, techniques and innovations in Australia and overseas. Our goal is to research and find products that do not contain hi-doses of harsh chemical ingredients. Hair care, colour and styling products where chemicals are replaced with gentler and more natural based "Clean Hair Products" that are safer and gentler on the hair, skin and hands, as well as the environment, but without compromising the end result land it's longevity. 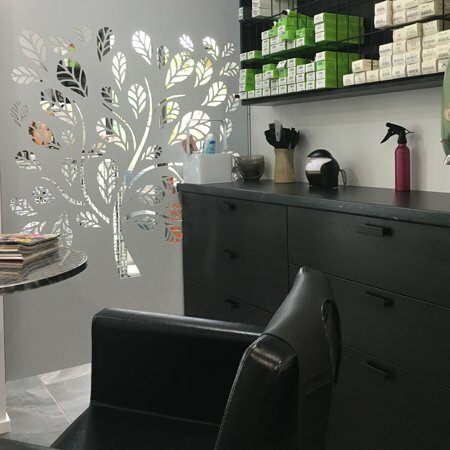 This is a unique style salon in a lovely tranquil suburban setting. No problems with parking, no noisy shopping centres to contend with. Just lovely trees and gardens and bird life. The Salon itself is bright, stylish and cool with personable service and the best coffee in town, (sometimes even a homemade cookie). 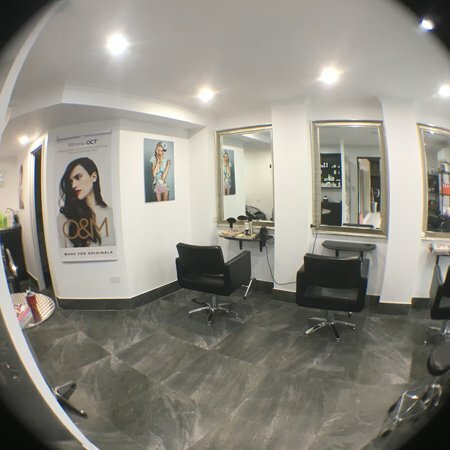 I am always pleased with my colour and cut, Sandra takes great time and interest in her clients and keeps good notes, she brings me up to date with relevant products which have genuinely improved the condition of my hair and scalp health. I have never been disappointed with a visit to Salon Inovo. Sandra really listened and understood what my hair is like and how I wanted it to look. I was impressed with her expert styling. 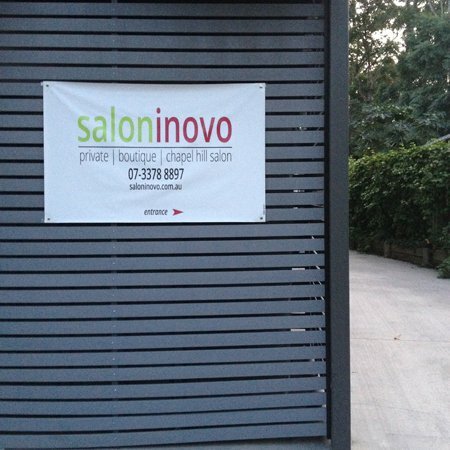 Salon Inovo is a relaxing boutique hair salon that leaves me feeling pampered every time I visit. I have been a regular client of Sandra's for the past 18 years and would highly recommend her to anyone. Sandra is an amazing hairdresser who always cuts and colours my hair perfectly. I am so pleased I discovered Sandra at Salon Inovo. The care given to my hair is most professional and I am thrilled with the unique products Sandra uses. Her knowledge of hair design is superb. Sandra is definitely the best hairdresser I have experienced in many decades. I highly recommend her salon.. I really enjoy having my hair coloured and styled by Sandra from Salon Inovo. It is such a lovely relaxed salon with great personal service from the talented Sandra. I would recommend it to everyone. Sandra, owner of Salon Inovo, has been looking after my hair for the past 17 years. She has a wonderful cutting technique and has a knack for adding very natural colours to my hair that compliment my hairstyle, skin tone and age. I'm Very pleased with the hair colour Sandra gives me; quite youthful looking for an older woman. Also, the cut / trim is so good my hair just falls into place when styling it myself between visits to the salon. I was so happy to discover such a lovely and professional salon in my neighborhood! Sandra is extremely helpful and experienced and I am often complemented on my hair. She creates a relaxed and friendly atmosphere and I highly recommend her to others.